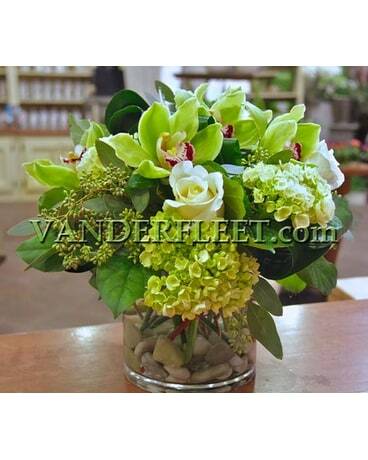 Exclusive design by VANDERFLEET, this floral creation is every bit the secret fantasy garden. 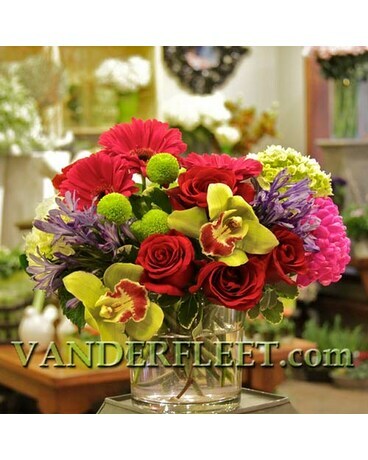 Elegant florals in lush vibrant colours nestled on a bed of greenery. 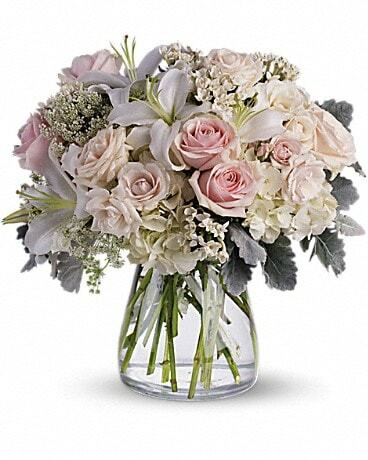 Green cymbidium orchids and hydrangea, fuchsia pink gerbera, lush red roses with royal blue agapanthus, accented with pittosporum greenery. 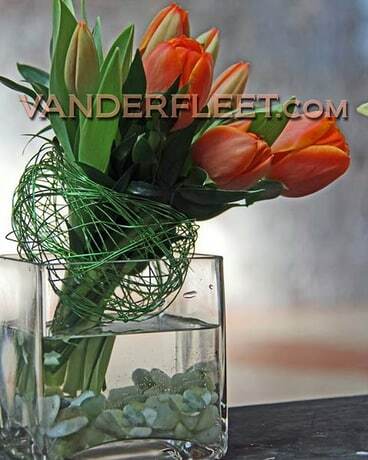 Arranged in an ''chic'' glass cylinder vase.